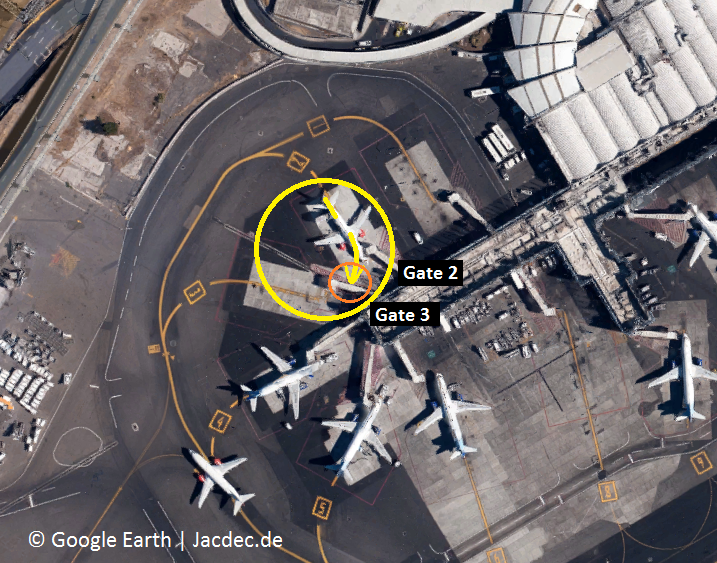 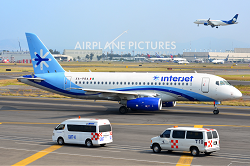 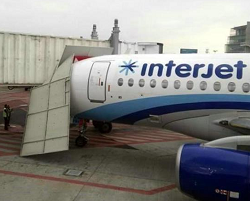 The Superjet was under tow from a hangar to gate #2 alongside Terminal 1 without passengers on board when it failed to stop in time and continued to roll foreward until its nose hit the adjacent walkway of gate #3. 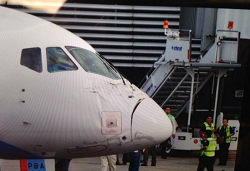 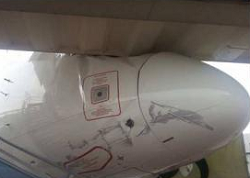 The impact caused serious damage to the cockpit section and the aircraft´s skin. 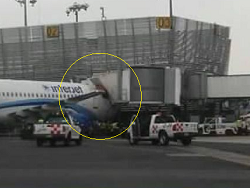 There were no reported injuries in this occurence and operations at the airport remained unaffected.